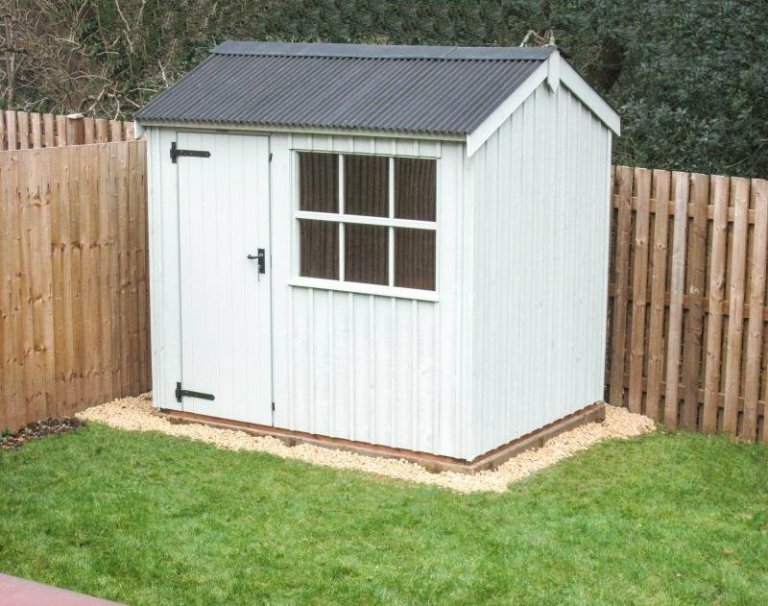 This National Trust Felbrigg Garden Shed has been installed in the corner of our customer’s garden in Lisvane, South Glamorgan to use as a simple garden storage shed. As part of the National Trust range, the Felbrigg is a traditionally styled shed since the designs were based on outbuildings at National Trust property estates across East Anglia. The traditional features include a corrugated sheeting on the roof, Georgian style windows, black cast iron door furniture, and vertical sawn boards for the external cladding. 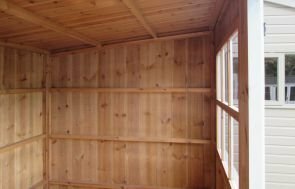 This shed was inspired by an outbuilding at the 17th century Felbrigg Hall, in the heart of the North Norfolk countryside. To finish the shed externally, the customer chose the paint colour Disraeli Green, which is one of the six paint colours in our National Trust paint range. All our buildings are made to order in our Norfolk based factory, so if you like the look of this National Trust Shed, you can create your own by using our Online Garden Building Planner Tool, or if you want something more bespoke, please have a look at our Superior Shed range. Alternatively, you can come and visit one of our Show Centres across the country to view our wonderful range of Garden Sheds for yourself.